Famous around the world for an architectural disaster that has become one of the most beloved structures on the planet, Pisa is a stunning city sporting an artistic twist and a vibrant atmosphere. 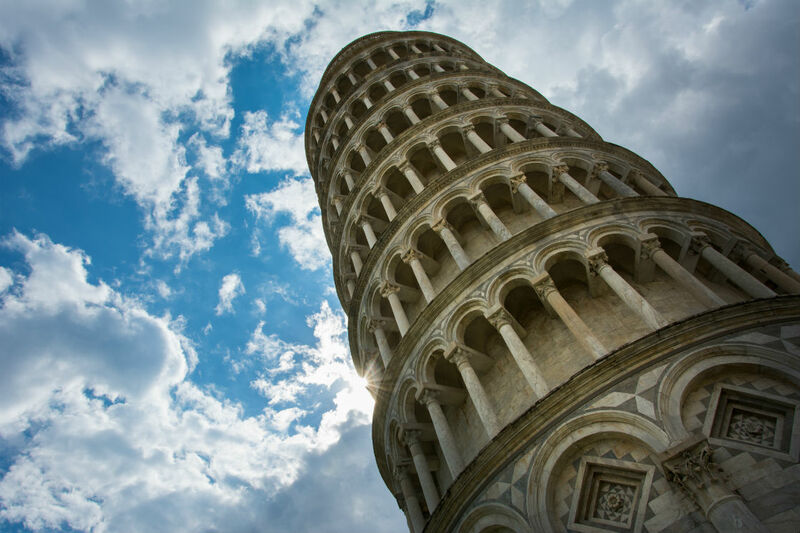 The iconic leaning tower has become a global curiosity, attracting visitors in their droves, all trying to grab that perfect snap beside the wonky structure, but there’s so much to see beyond the tower that makes Pisa a fantastic place to visit. Situated in Tuscany in northern Italy, the city beautifully blends ancient and modern elements to create an effortlessly unique aura, while the River Arno flowing calmly through the centre to the Ligurian Sea adds a touch of majesty to the already colourful city of Pisa. The architecture that lines the Square of Miracles is the undoubted highlight of any visit to Pisa, bringing together a range of influences to astound visitors with intricate exteriors and awe-inspiring design. Three of its most recognisable landmarks – the Baptistery, Cathedral of Santa Maria Assunta and Camposanto represent birth, death and life respectively, giving the square a poignant edge. Pisa’s history is a long and winding one. Dating back as far as the 11th century, Pisa first rose to prominence as a major maritime republic. It was during this time that the city we see today first started to take shape, with the boom in activity in Pisa leading to the building of many structures and monuments that still give the city its character to this day. Nestled between Romanesque architecture and a slew of Gothic churches is the city’s, and indeed the world’s, most recognisable building - the Leaning Tower of Pisa. Construction of this curious wonder first began in 1173, but it wasn’t long before the architects fell foul of nature. A failure to spot a layer of weak subsoil to support the tower’s foundations meant that it adopted the signature lean that put the Italian city on the map. Thousands of people flock to the tower every day for a look at what has become one of the most photographed sights in the world, and you can join them, camera at the ready for an iconic snap to light up your Instagram feed. The tower isn’t the only spectacular building in the Square of Miracles though. Although often overshadowed by its leaning contemporary, the cathedral here is a joy to behold. Incredibly ornate from the outside and intricately decorated on the inside, this is one of the most stunning buildings in Pisa – no mean feat given the competition. Construction of the cathedral begun in 1064, and at the time of its completion it was the largest in Europe. It’s an architectural gem that’s only improved with time too. In 1380, the iconic elliptical dome was added, making the cathedral an immediate blueprint for Romanesque design across Tuscany. Once you’ve taken the time to drink in the stunning architecture of Pisa, it’s time to delve into its rich history. There are a great number of museums dotted around the centre of the city, each telling its own tale of Pisa through the centuries. Start with a look at how art, and more specifically sculptors Nicola and Giovanni Pisano, shaped the look of Pisa through the years at the Cathedral Museum. Set in a 15th-century convent, the exhibition halls here are filled with stunning examples of medieval statues, most of which were once used to decorate the interiors of the Baptistery and cathedral. From there, head to The Palazzo Blu, a stunning 14th-century building sporting a vibrant light blue exterior, located on the banks of the river. Here, you can take a stroll through the different eras of Pisan history as you explore works dating from the 14th to the 20th centuries, as well as rolling exhibitions that have previously hosted works from the likes of Salvador Dalí and Toulouse-Lautrec. Like most Italian cities, Pisa is awash with a mix of fantastic hotels, ranging from the boutique to the exquisite, allowing something for every taste. Palazzo Cini is one of its very finest, located in a serene area just a few minutes from the main shopping strips and the Leaning Tower. As well as comfortable beds and quiet rooms, you’ll find a range of contemporary artwork that gives this 19th-century building a refreshingly modern twist. One of the oldest hotels in the city, The Royal Victoria used to be a Winemaker's Guild and Inn with a central tower that dates back to the 10th century. Situated on the River Arno and with a stunning roof terrace, this hotel offers some of the best views of Pisa you’re likely to find anywhere in the city. Alternatively, Hotel Relais Dell'Orologio is a 14th-century townhouse hotel, just a short distance from the Leaning Tower. It’s distinctly modern in its design, while retaining an authentic Pisan atmosphere that makes it feel all the more charming. Dinner here is served in the beautiful Belle Epoque style restaurant, where you'll be treated to tasty Tuscan dishes. One of the most luxurious hotels in the city is Bagni Di Pisa Hotel and Spa. Starting life as an 18th-century nobleman’s house, it has retained all of that majesty to this day. Located just outside Pisa, but offering unrivalled views of the city from afar, it’s the perfect escape after a long day in the bustle of Pisa. Relax in the spa and settle into the thermal waters, or try out some of the mud therapies that the hotel is renowned for. As home to some of the city’s most prestigious universities, Pisa has a thriving student population that has given rise to a lively bar and café scene that’s well worth exploring. Stop off for a coffee in one of the many street-side cafés and watch the world go by. The city also plays host to some fantastic restaurants, serving up a range of Tuscan classics, although Pisan chefs are not afraid to put a modern twist on these beloved dishes. You’ll find Osteria I Santi nestled next to the Leaning Tower, a fantastic plus point in its own right as you dine in the shadow of one of the world’s most famous buildings. Inside, you’ll find traditional Italian fare served up in a setting that mirrors its extensive and rich menu. Start with bruschetta or a caprese salad, followed by lasagne risotto or spaghetti and finish with a flourish, treating yourself to panna cotta or cantuccini to get the true taste of Italy. Its closeness to the sea allowed Pisa to thrive as a maritime centre centuries ago, and today its restaurants ensure the tradition lives on, with expert chefs serving up fresh fruits of the sea. Seafood restaurants such as Ristorante La Scaletta offer up some of the freshest and most varied menus you’ll find anywhere in the city. Among the innovative dishes on offer here you’ll find pink tuna with ground pistachios and a whirl of coffee foam. Head away from the main tourist spots and you’ll find Ristorante Alle Bandierine – one of the best restaurants in the city for spaghetti dishes and traditional Tuscan cuisine. This family-run restaurant has a warm feel and isvery popular, so make sure you book a table in advance. If you’re in the mood for pizza in Pisa, head to Pizzeria Da Filippo – one of the city’s very best. Il Campano is situated in the oldest part of the city, close to the bell tower. 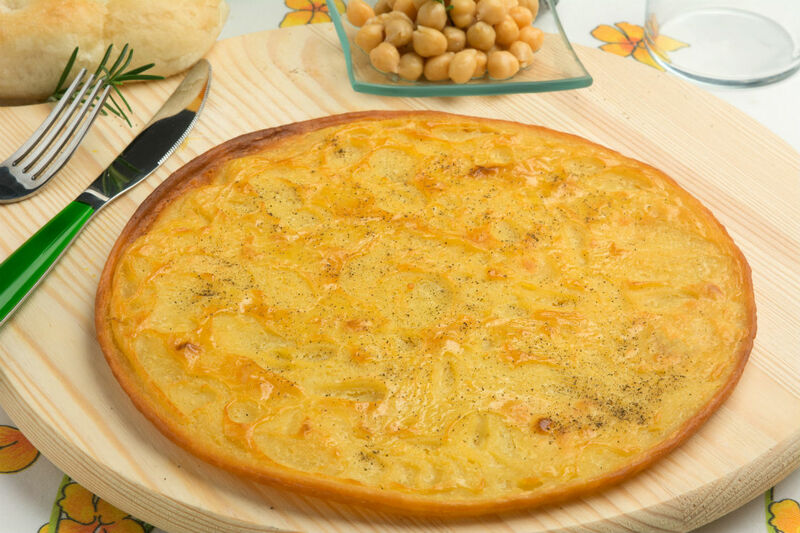 The restaurant offers an authentic Italian experience, with its ingredients proudly sourced from the local markets. Head into the 18th-century cassatorre and you’ll find an interior featuring exposed brick walls and verrucana stone. Accordion players give the restaurant that extra authentic touch, wandering from table to table to serenade diners and create the perfect ambience for a romantic night out. flour, water, oil, salt and black pepper - this gluten-free bread can be eaten alone or enjoyed as an accompaniment to a traditional Italian meal. Tuscany’s setting on the sea makes it the perfect place to get out of the city to enjoy a coastal adventure. Get away from the bustle of visitors and head to one of the many beaches that line the coast for a breath of fresh sea air and a dash of absolute serenity away from the crowds. Marina di Vecchiano beach starts at Torre del Lago and stretches two-and-a-half miles down to the mouth of the Serchio River. The beach is part of the Migliarino, San Rossore and Massaciuccoli Park and boasts stunning views of the Apuan Alps. The natural characteristics of the Tyrrhenian coast make for a stunning setting. Gaze out over clear waters, pinewoods and sand dunes as the sun sinks over the horizon. A short drive to the south will take you to Marina di Pisa, where you’ll find a good mix of both sand and pebble beaches. It’s the perfect place for families, with larger rock walls forming a barrier from both the crowds and the Ligurian Sea. 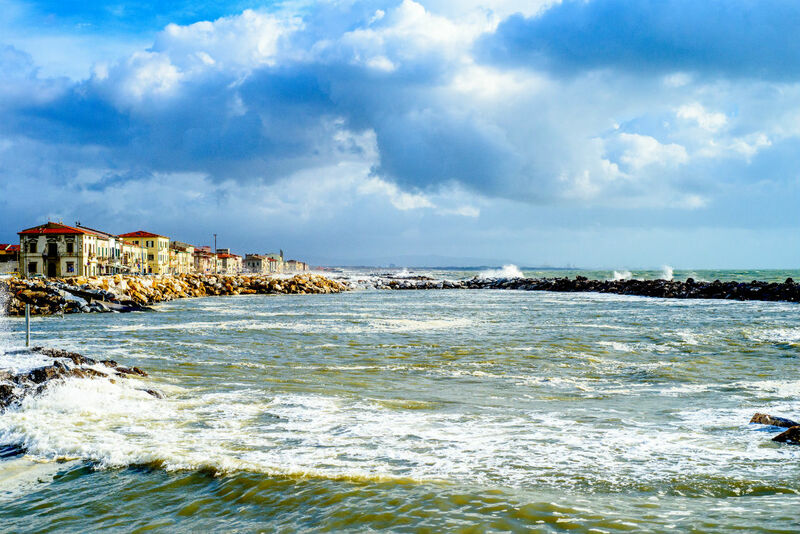 Water sports fans looking for somewhere to indulge in a little adrenaline boost should head for the centre of the Tuscan coast and the quaint little town of Tirrenia. This seaside gem is home to a beautiful pine forest that’s a prime spot for exploration. But it’s on its beaches where it really comes into its own. Wide golden sandy beaches and stunning clear waters are the perfect place to indulge in surfing and a range of other water sports. Afterwards, dry off on the sand as you relax in the peace and quiet of this little gem. The River Arno, flowing through Pisa, offers the perfect backdrop to some spectacular hikes. Follow the tree-lined boulevard that carves a path just outside the city centre for over a mile, meandering gently from the Ponte della Vittoria to Ponte della Bocchette. Take in the breathtaking natural views that surround the wooded walk, before crossing the bridge over the Arno if you want to extend your evening stroll. Alternatively, head out to Migliarino, San Rossore and Massaciuccoli Nature Park. Around a mile or so from Pisa, this is a protected site comprised of marshes and dunes as well as Lake Massaciuccoli, an ancient salt water lagoon. There are several walking routes to follow here. The Sabrina Bulleri route starts at San Rossore Estate and passes by dune reliefs and sunken areas such as Buca delle Ghiande. It eventually takes you to a cabin overlooking the Paduletto Nature Reserve. Lame di Fuori is a wetland area covering two square miles. A walk here offers up the chance to see a range of wildlife – keep your eyes open for mallards, grey herons, Eurasian teals and great cormorants on the many ponds dotted around the area, as well as grazing deer. Following this route will bring you to Gombo beach – head towards the sea and then Viale Bicchi to continue your hike even further. You can also take the Fratino Path. This is only 350 metres long and takes you from Fortino Nuovo to the beach. 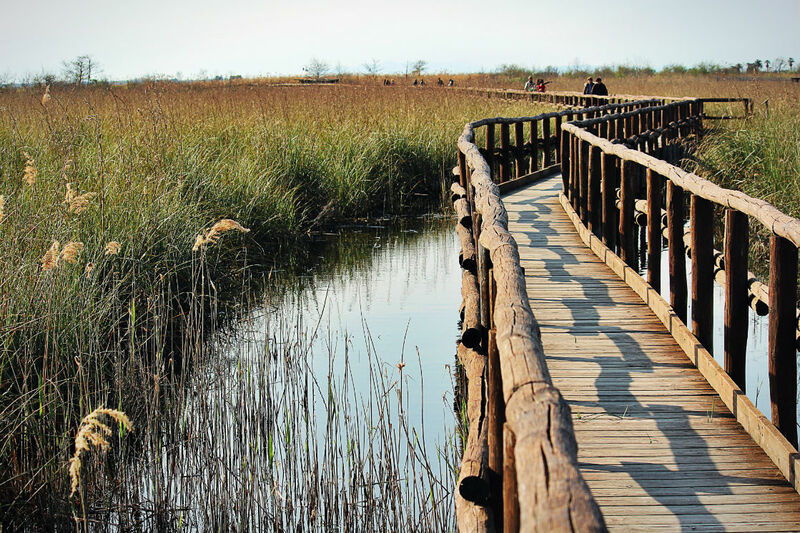 There are wooden bridges, so you can get a closer look at the area without damaging the ecosystem. Make your way through the pine wood, along the dunes and down to the shoreline. The Tuscany region is home to some of Italy’s most intriguing cities. Once you’ve soaked up the atmosphere and explored every corner of Pisa, make sure you head out to explore further. 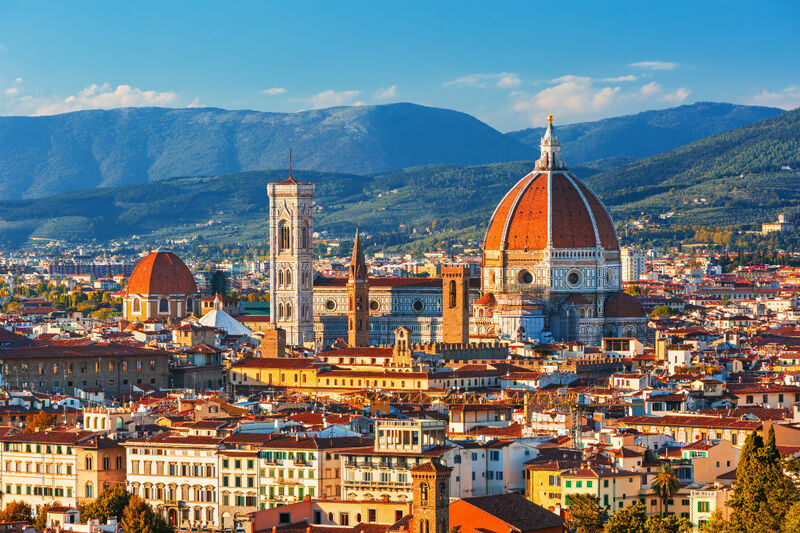 Just an hour-and-a-half inland you can discover the romance of Florence.Tuscany’s capital is a beautiful Renaissance city, home to the country’s most visited art gallery, the Uffizi Gallery. Here you can see Michelangelo’s David and canvases by Botticelli and Leonardo da Vinci. Make sure you stop to admire the magnificent Duomo. This Cathedral, with its Renaissance dome, is one of the most iconic sights in the city. Two hours from Pisa and south of Florence you’ll find the UNESCO world heritage site of Siena. One of Italy’s most famous cities, Siena is home to Piazza del Campo, one of the biggest medieval squares in the world. Alternatively, head towards the coast and visit the port city of Livorno. Unlike its historic neighbours, this city is one of the most modern in Italy, giving you the chance to see a different side of Tuscany. Wander the banks of the intricate Venetian-style canal network and try its signature, seafood, which is caught locally and celebrated as some of the best in the whole country. Just 20 minutes from Pisa you’ll find Lucca, where you can head to the top of the 14th-century Guinigi tower for a bird’s eye view of the stunning city. Take in the Romanesque-Gothic architecture from the ground and then head up to the top where you’ll find a small garden. Stand among the Holm oaks, look out on the city and across to the mountains that stretch for miles. Pisa is the perfect base to get a taste of northern Italy and Tuscany. Car hire from Pisa will enable you to discover everything this beautiful region has to offer, from the coastline to the countryside.